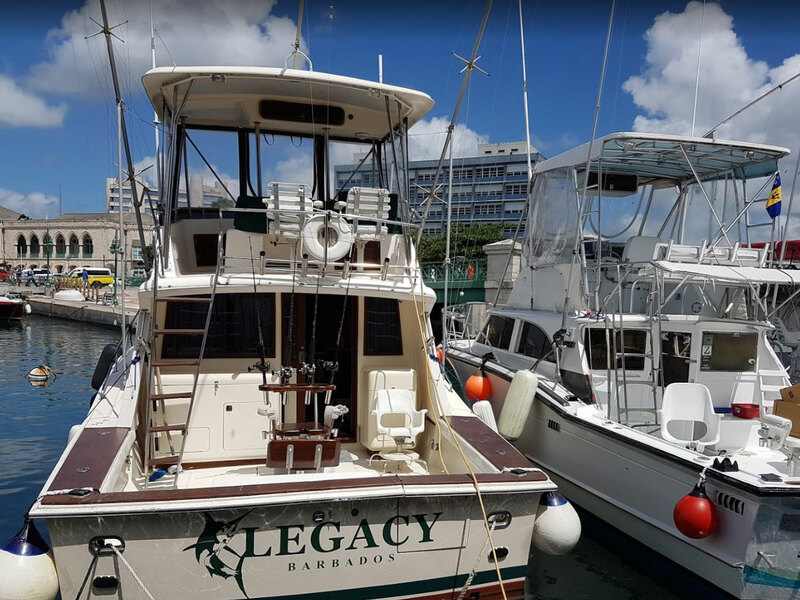 This custom sport fisherman was made for fishing and is equipped with downriggers, outriggers, good electronics and an experienced crew who know the local waters. 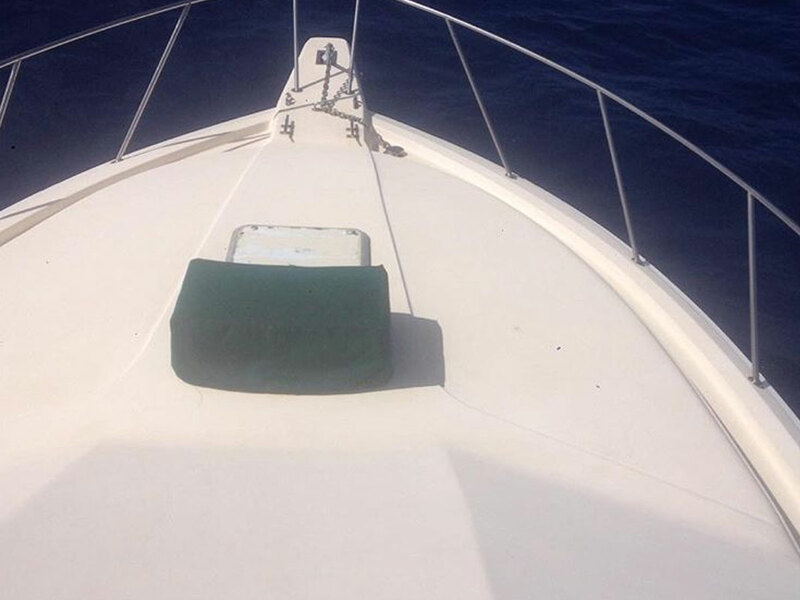 The boat is suitable for a max of 7 fisherman and comes with a captain and mate and is equipped with a toilet. 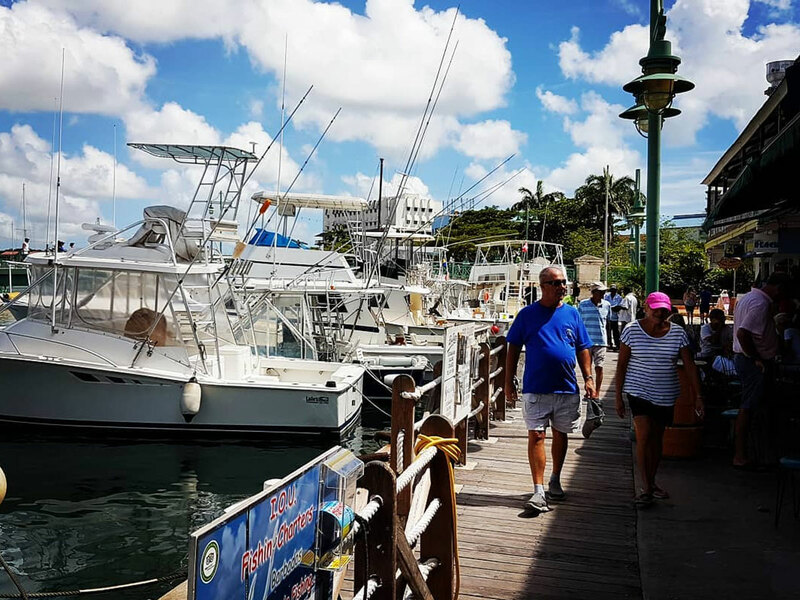 The crew has extensive experience in Aruba and the gear is all high quality. Captain Jono Jones is a retired thoroughbred racing jockey at Woodbine Racetrack in Canada and Barbados. 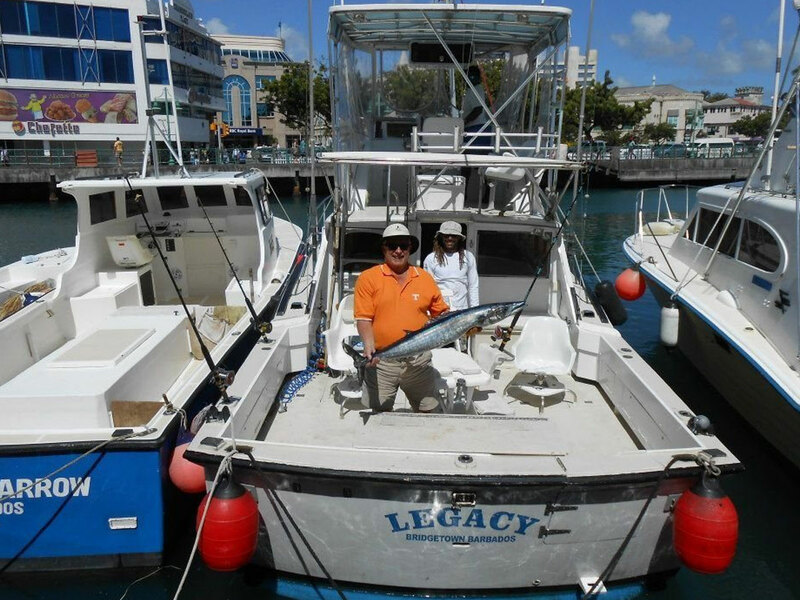 Captain Jono was at the helm when Legacy landed the heaviest Blue Marlin and won the Rolex/IGFA Offshore Championship Spice Island Billfish Tournament 2006 in Grenada, weighing in at 669 lbs. A record that still stands. 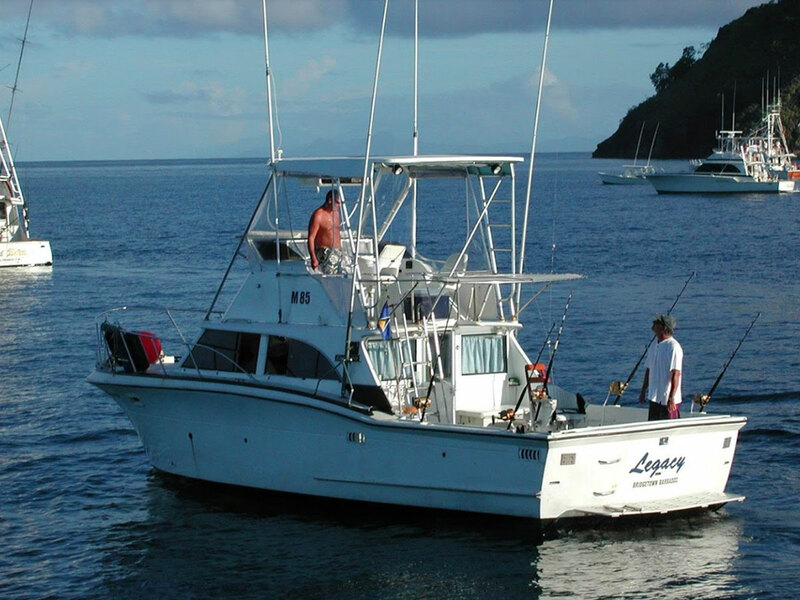 Trips include Captain / Mate, bait, tackle and soft drinks. 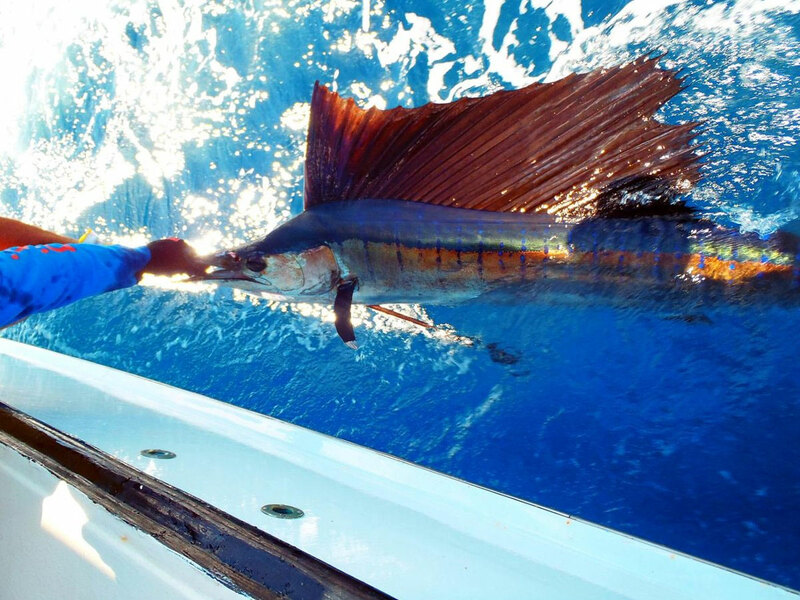 Your catch in deep sea fishing ranges from the mighty Marlin, Sailfish, Wahoo, Mahi Mahi and Tuna. The dock is so close to the drop-off, the crew can start putting out lures in only a few minutes time. 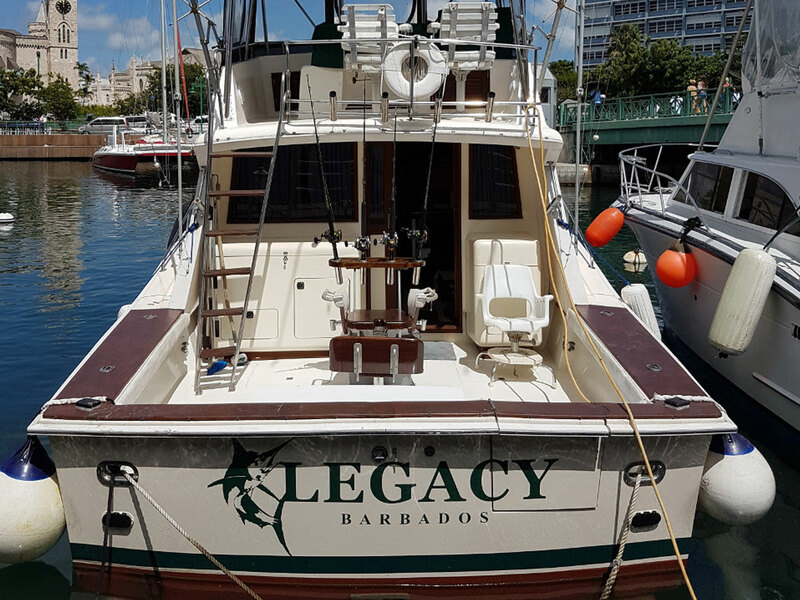 You can choose to go fishing on this beautiful vessel for 4, 6 or 8 Hour Charters. 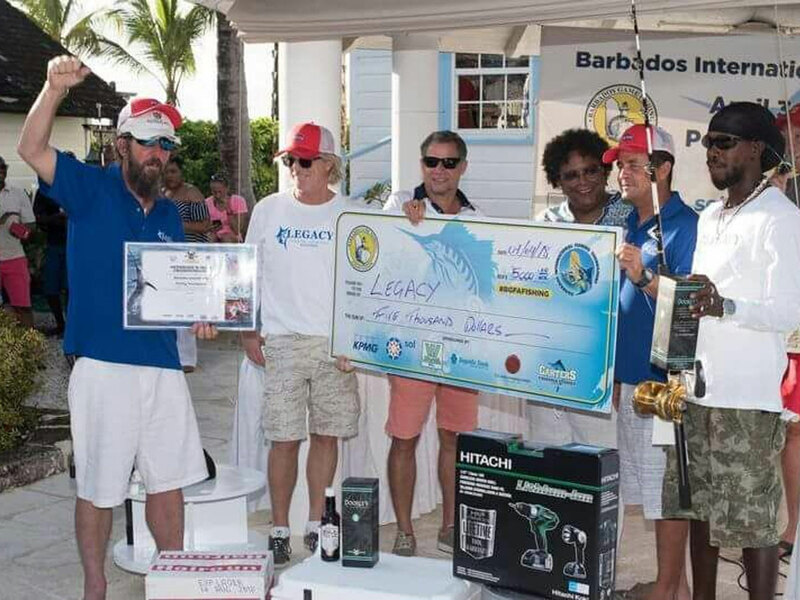 Or better yet, book the Legacy for an entire fishing tournament in the Caribbean. 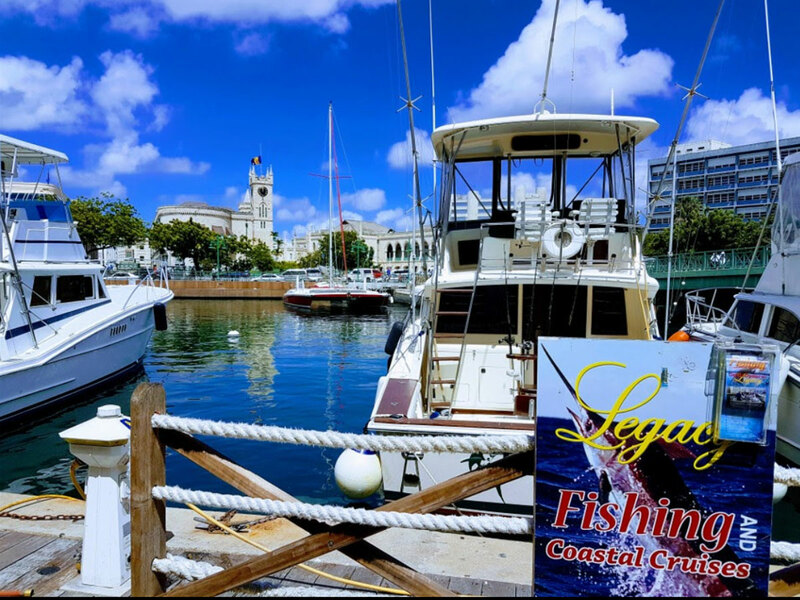 All trips include drinks, snacks and fish cleaning / filleting service so you can have your catch prepared at a local restaurant.